What should you look for in a forklift spare parts supplier? Even when you’ve done your research, placed your order, and received delivery of your brand new forklift, your business with a supplier hasn’t ended. If you want your forklift to run smoothly and efficiently in future, and with maximum uptime, you’re going to need spare parts. But what makes a good forklift spare parts supplier? It’s an important question to think about, since the supplier’s parts will end up inside the machines which make up the backbone of your warehouse operations. In this post, we’ll look at some of the most important qualities you should look for in a future supplier - and what you should push for with your current one. It can be tempting to go for cheaper, non-genuine spare parts when service time comes around, but it’s a bad idea. If you want to be confident that your truck will have exactly the same performance as it did before, your parts need to be genuine. More importantly, leading manufacturers extensively test all of their parts for safety - so if you want to protect your staff and facilities, you shouldn’t buy fakes. The best suppliers know this, and will only offer the best. Uptime is more important than ever, and you should never have to wait around or delay your operations because a spare parts supplier can’t get your order to you fast enough. 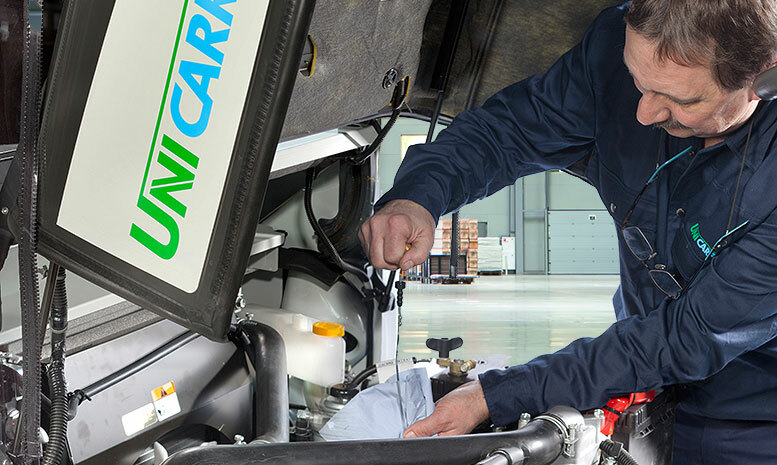 Many top suppliers will be able to get the majority of their parts delivered to you within 24 hours - for UniCarriers, 95% of parts reach this target. Just like with delivery, you should be able to get what you need, when you need it - you don’t want to be told to wait because common parts aren’t in stock. The largest spare parts suppliers, who can operate larger warehouses and distribution centres, will usually have better rates of availability. If you’re running a warehouse, you’ve got hundreds of things to think about all the time. A good spare parts supplier will know your needs in advance, and cater to them. This could mean exclusive products, new innovations for common problems, or special campaigns - for example, lower prices on spare parts like heaters and tyres as winter approaches. Genuine spare parts, directly from the manufacturer, are always high-quality - but things can still go wrong sometimes. A good supplier should be honest and confident enough to offer warranties on their spare parts, just in case problems appear. When you need a specific set of parts - for example, for a scheduled service - it should be easy for you to get them all at once, not individually. This saves time in the ordering and delivery stages, and gives you the confidence that you have everything you need before you service your truck. With many suppliers, spare parts can’t be ordered online directly by end users. However, an online shop for spare parts is still important, since it allows your contact at the company to quickly check the availability and range of goods for you. It’s certainly much easier than calling back and forth all day. It’s not unreasonable to expect these qualities from your supplier. Your spare parts needs are about uptime and safety - so it’s natural that you should expect competence, speed and quality. If you want to know more about what our spare parts department can offer you, click the button to get in touch - we’ll get back to you as soon as possible. And in the meantime, let us know in the comments: What do you look for in a spare parts supplier?